I moved over seas a while ago and you know how things go when you move. 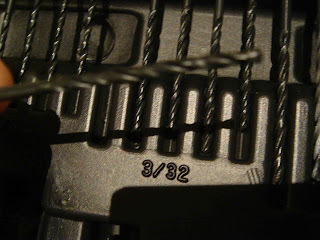 Something always breaks. 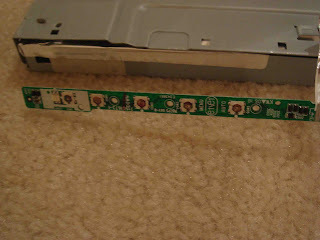 After I unpacked and setup my computer, I pressed the power button on one of my monitors and it didn't spring back. It turned on, but it didn't feel right. 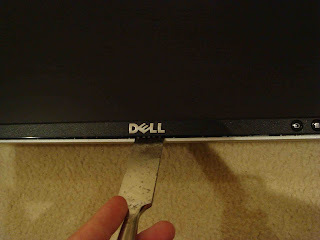 Several months later it broke and I couldn't turn my monitor on or off. 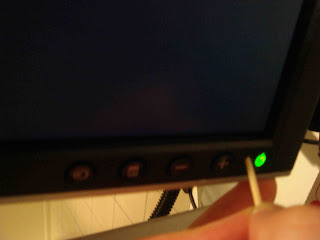 I knew the monitor worked, but the button didn't. 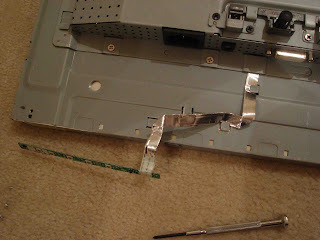 Determined to fix it, I Googled "how to take apart a dell 1907 fpc lcd monitor". To my surprise I wasn't the only victim. 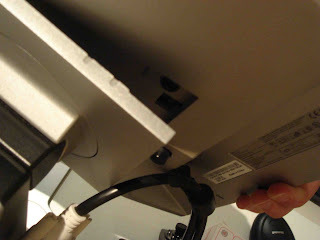 In fact my Google search had nothing to do with a broken power button, but it came up on the Dell Forum. 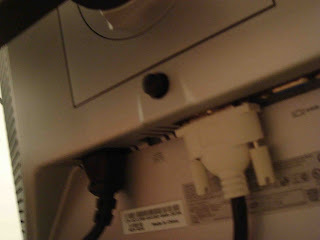 Unplugged the power cable and remove the video cable. 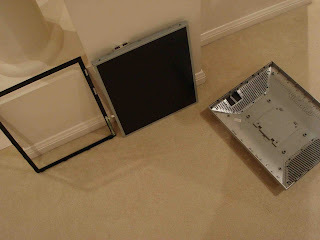 Remove the monitor from the mount or the stand. 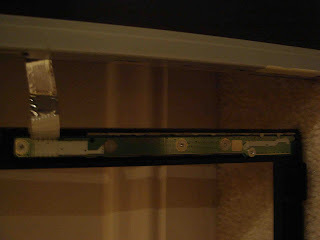 Remove 4 screws found after removing from the stand. 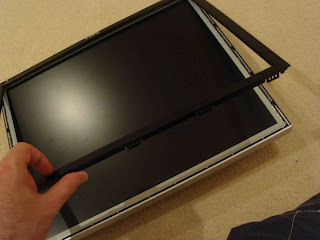 Gently pry the front casing of the screen w by using a small flat head screw driver or wood chisel. 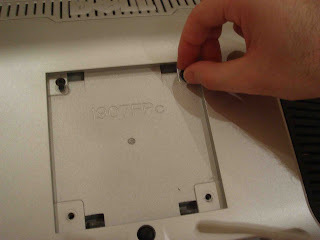 Be careful, the buttons are connected to the front case by a thin wire that is screwed on to the front case. 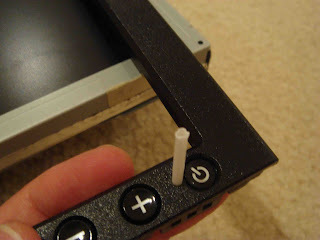 Remove 5 screws and remove the buttons and button circuit. 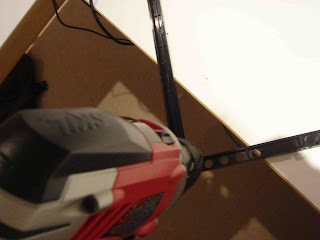 Take the front casing and drill a 3/32 hole just left to where the power button is. 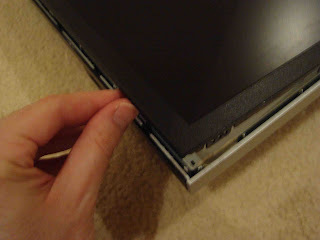 To make it easier to screw in the 5 tiny screw, remove back case from the LCD monitor, by simply sliding it out. 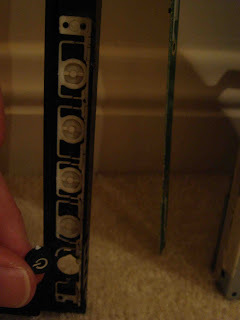 You will notice where the cable for the button circuit is being held in place by the case. 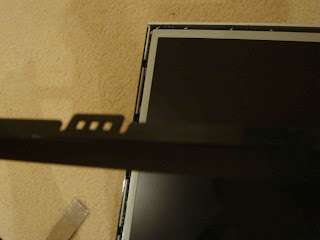 Try to slide the cable out to give you more wiggle room for screwing the 5 tiny screws back into the front case. 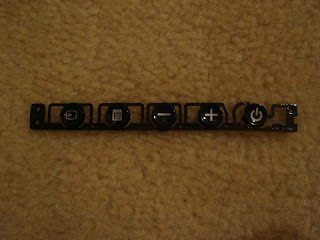 Put the buttons back in and put the button circuit board over the buttons the screw the 5 screws into place, and tuck the cable back in to the case. 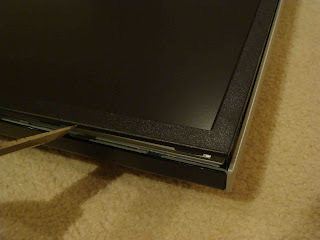 Slide the screen and front case into the back case. 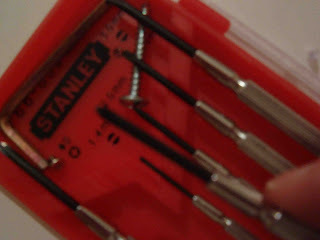 Screw in the four screws in the back. 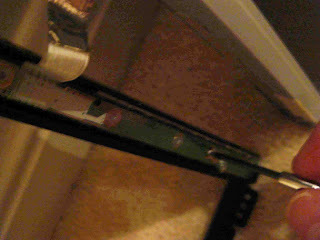 Snap the front case into the back case. 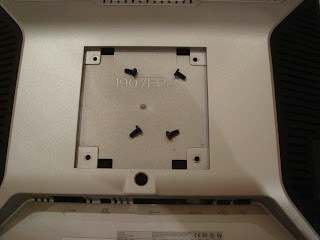 Remount the monitor on the stand and plug in the cables. 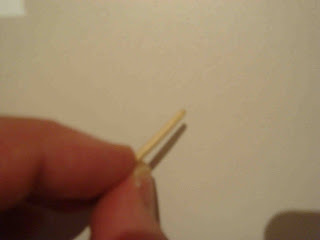 Using a flat-ended toothpick , sawed-off Q-Tip, stylus, or even a new button. 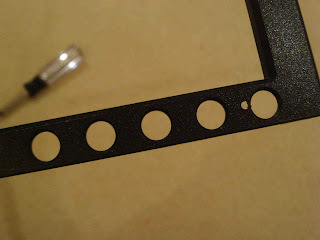 You now have a hole where you can turn your monitor on. Spend 20 minutes and save $400+.